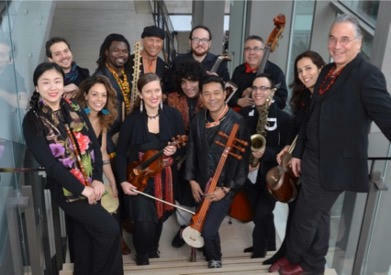 Kuné is billed as Canada’s Global Orchestra - a collection of 13 extremely talented musicians from various parts of the world who are now based in Canada and have united to weave a unique sonic tapestry. On this week's show, we're speaking with Mervon Mehta, Executive Director of Performing Arts with the Royal Conservatory and the pioneer of the Kuné project. Mervon tells us about how this special collection of artists first came together, the process of finding common ground in song selection and arrangement, and where things are headed following the upcoming release of the group's self-titled debut collection via Universal Music Canada.